As his son lies in bed with diphtheria, a Paris doctor, Edouard Malempin, struggles to remember the details of his own childhood, jotting down his recollections in a school exercise book. Again and again, Malempin reminds us of the unreliable nature of his memory: ‘I’m not sure’; ‘I don’t remember’; ‘There what I remember ends’; ‘Confusion sets in.’ The story of the novel is the that of Malempin’s efforts to piece together a series of events in his family’s past, events which, of course, are never discussed. Malempin was brought up on a farm. His parents have borrowed heavily to buy their land and once a month the family travels to Saint-Jean-d’Angély to visit his father’s rich brother, Tesson, and his sensuous young wife, Elise. These lunches are tense affairs, strained by the snobbishness Malempin’s mother displays towards Elise and by the Malempins need to constantly borrow money to stave off their debtors. Later, when Uncle Tesson mysteriously disappears, young Eduoard – on the basis of quite slender evidence – comes to believe that his parents have murdered him in order to inherit his wealth. Whether or not this is true, the incident marks a turning point in Malempin’s relationship with his mother, who, he feels, never again looks him in the eye. Malempin is a typical Simenon protagonist: a doctor (one of the writer’s most frequently used professions), unable to communicate with his wife, whom he does not love and who he feels knows nothing of his inner life. By the end, he comes to realise that he has spent his life ‘walking on tiptoes, scarcely daring to breathe’, unwilling to upset the fragile equilibrium of his existence. 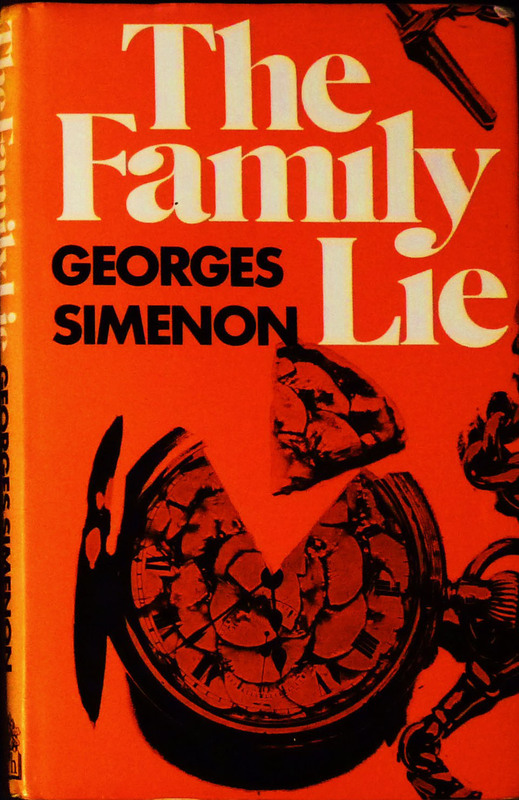 The Family Lie was written in 1940, but not translated into English until 1978, a reflection, perhaps, that it is not one of Simenon’s most gripping novels. Malempin’s fragmentary memories of his childhood are vividly evoked, but the present tense of the narrative is entirely lacking in drama (the son becomes ill, then recovers) and the central character is so lacking in personality that it is hard to feel anything about his fate. The novel is an exploration of the nature of memory and, on one level, an expression of the idea that, as Malempin concludes, the only ‘real years’ of life are the years of one’s childhood. It’s subtle, atmospheric and low-key, but fails to engage on a dramatic or emotional level. First published as Malempin, 1940. Published by Hamish Hamilton in 1978. Translated by Isabel Quigley.